Joel Richard Roberts died tragically on Saturday, November 10, 2018 while playing football, a game he loved. He was 11 years old and a fifth grader at Lincoln Trail Elementary School in Mahomet. Joel was currently a Cub Scout in Pack 94 and was proud that he was getting ready to cross over to Boy Scouts. Joel had a sweet innocence about him. He was the boy with the great smile and kind personality that loved chocolate ice cream and playing video games with his mom and grandma. When he wasn't playing video games, you could often find Joel playing sports with his brothers, especially soccer and football. He had a gentle spirit and was an animal lover. And of course everyone will always remember Joel's passion for the St. Louis Cardinals. He wore fan gear almost daily and could recite stats on demand. Joel will be greatly missed by his family, including his mother, Carrie Livesay Roberts of Mahomet; his father, David & Amy Roberts of Mahomet; brothers, Justin and Kaleb Roberts; bonus brothers, Keaton and Ryan Roberts; maternal grandparents, Richard & Joyce Livesay of Mahomet; paternal grandmother, Glenda Abbed of Homer and step-grandmother, Ronna Roberts of Fithian; uncle, Greg & Gillian Livesay of Alexandria, VA and an aunt, Jessica & Wade Covington of Osage Beach, MO; along with many friends. There will be a visitation on Thursday, Nov. 15 from 3-7 pm at Mahomet United Methodist Church, 1302 E. South Mahomet Rd., Mahomet. The funeral service will be on Friday, Nov. 16 at 11 am at the church with Pastor Craig Sweet officiating. Burial will be private. Blair-Owens Funeral Home is assisting the family. 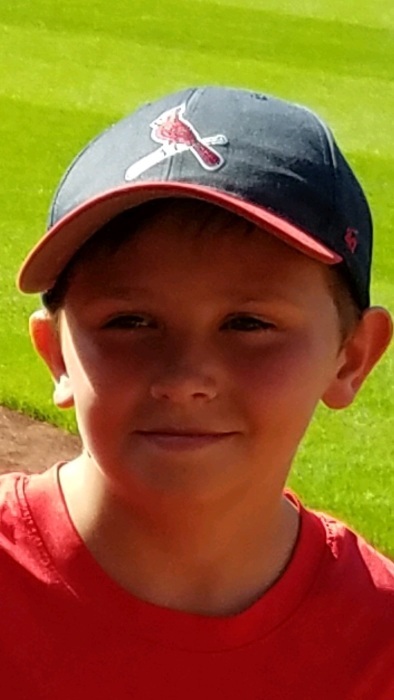 Donations may be made to the Memorial Fund for Joel Roberts at Fisher National Bank, 1501 E. Oak St, Mahomet, established by Mahomet Parks and Recreation.